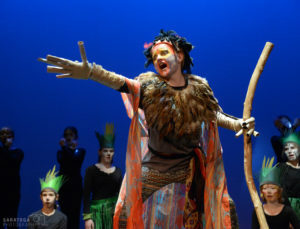 Each spring, Home Made Theater offers the extremely popular Youth Theater Conservatory program. 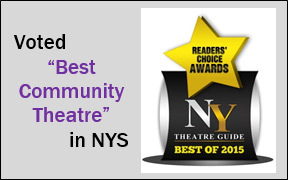 The HMT Conservatory program gives kids an exciting, creative and supportive environment in which to experience the thrill and exhilaration of performing on the main stage. All students who register are cast in the production that is performed in the Spa Little Theater. Performances are open to friends, family, and the general public. No experience is necessary and children of all levels are welcome. Generally, rehearsals are two afternoons a week for two hours, with five-hour rehearsals on Saturdays. Performances are generally the third weekend in May. This season, HMT is excited to announce our spring 2019 production, FROZEN JR! A story of true love and acceptance between sisters, FROZEN JR. expands upon the emotional relationship and journey between Princesses Anna and Elsa. Tickets for FROZEN JR. will go on sale April 29th. To register more than one child please fill this form out again after submitting. If applicable please include type of dance and years of training. Please take time now to look at all possible conflicts: sport practices, dates out of town, school concerts, other auditions, etc. Multiple conflicts could factor in to the role in which your child is cast. Please note any conflicts, if you child has no conflict write "none."